At Strata, we are committed to protecting your personal information. We have published this privacy notice to ensure that you are fully aware of what personal information we collect from you, how we use it, who we share it with and what your rights are. What information do we collect and use when you browse our website, create an account or sign up to receive news, offers and details of our future events and what is our legal basis for using it? What information do we collect and use when you book a viewing or visit one of our sites and what is our legal basis for using it? What information do we collect and use when you reserve or purchase a property and what is our legal basis for using it? What other personal information do we collect and use and what is our legal basis for using it? What personal information do we collect and use from third parties and what is our legal basis for using it? What happens if you don’t provide the personal information we have asked for? Will we use your personal information for automated decision-making? Can we change the purpose for which we use your personal information? Will we transfer your personal information outside the UK/EEA? Does this privacy notice cover websites you link to from this website? How will you tell me about changes to this privacy notice? "We", "our" or "us" means Strata Homes Limited (“Strata”). Our company number is 01709069. Our registered office is at Quay Point, Lakeside, Doncaster, DN4 5PL. We are the controller of your personal information. This means that we are responsible for deciding how we collect, store and use personal information about you. If you have any questions about this privacy notice, please contact our Director of Business Improvement at dataprotection@strata.co.uk. 2. What information do we collect and use when you browse our website, create an account or sign up to receive news, offers and details of our future events and what is our legal basis for using it? When we collect information about you from our website using essential cookies, we will use your personal information on the basis that it is in our legitimate interests to do so. Please contact our Director of Business Improvement at dataprotection@strata.co.uk if you would like further detail about our legitimate interests. Where we collect information about your from our website using non- essential cookies, we will use your personal information on the basis that you have given us your consent. You can, of course, withdraw your consent at any time by deleting our cookies by managing your browser’s cookie preferences. For further details on how to manage your preferences please see aboutcookies.org or www.allaboutcookies.org. If you create an online account with us we will collect: your full name and e-mail address. We will use this information to set up and administer your account. Where you have consented for us to do so, we will also send you information about exclusive offers and events. We will also use information gathered from your account preferences to inform your Salesforce profile. Salesforce, is an online platform which is used by us to ensure that any marketing which you receive from us is tailored to the types of property and developments you have indicated an interest in. When you create an online account with us we will use your personal information on the basis that you have given us your consent. You can, of course, withdraw your consent at any time by clicking the unsubscribe button in any e-mail correspondence we send to you or by contacting our Director of Business Improvement at dataprotection@strata.co.uk. If you sign up to receive news, offers, details of our future events we will collect: your full name, e-mail address, contact telephone number and any marketing preferences which you might have provided to us. 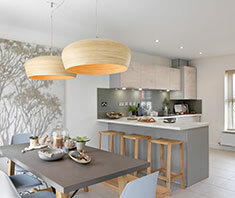 We will use your personal information to send you news, offers and details of our future events about our developments and properties which we think you might be interested in. When we send you news, offers, details of our future events we will use your personal information on the basis that you have given us your consent. You can, of course, withdraw your consent at any time by clicking the unsubscribe button in any e-mail correspondence we send to you or by contacting our Director of Business Improvement at dataprotection@strata.co.uk. Some of our marketing will be done by profiling, which is where we tailor the information and offers we send to you. We will also review your response to ensure that the information and offers we are sending are relevant. For example, should you be particularly interested in our Leeds developments we may tailor the information we send to you to reflect this. 3. What information do we collect and use when you book a viewing or visit one of our sites and what is our legal basis for using it? 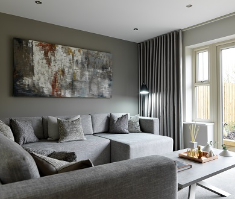 If you book a viewing at one of our developments we will collect: your full name, e-mail address, contact telephone number and details of the development you would like to view and your preferred viewing date/time to arrange your viewing. Where you consent to receive marketing and provide us with your full address and postcode we will use this information to send you information about our developments and properties which we think you might be interested in. We will use this information in order to arrange and administer the viewing. This is done on the basis that it is in our legitimate interests to set up and administer viewing our properties. Please contact our Director of Business Improvement at dataprotection@strata.co.uk if you would like further detail about our legitimate interests. If you agree to receive marketing information we will use your personal information on the basis that you have given us your consent. You can, of course, withdraw your consent at any time by clicking the unsubscribe button in any e-mail correspondence we send to you or by contacting our Director of Business Improvement at dataprotection@strata.co.uk. Site Visits: Please note that if you visit one of our sites we use CCTV cameras to capture images. We collect, store and use these images for security purposes and to ensure the safety of our employees and visitors. Where we capture CCTV images, our legal basis for collecting and using them is that it is in our legitimate interests as a business to be able to keep our sites secure and to ensure that our obligations relating to health and safety are met. Please contact our Director of Business Improvement at dataprotection@strata.co.uk if you would like further detail about our legitimate interests. 4. What information do we collect and use when you reserve or purchase a property and what is our legal basis for using it? 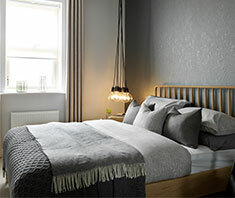 If you reserve one of our properties we will collect: your full name, date of birth, e-mail address, contact telephone number, address, value of your new property, any incentives agreed, your conveyancer’s contact details, passport number, driving licence number, details of how you will be funding the purchase and your mortgage advisors details (if applicable). We will use this personal information in order to deal with your reservation request and begin the sales process. We will give you the option to provide us with the details of your current and/or proposed mortgage provider. We will use this information to help assist you with your mortgage application and dealing with any issues that might arise. We will also ask you to provide your driving licence and passport to confirm your identity to meet anti-money laundering requirements. When you provide us with these documents, we will keep a record to confirm that we have reviewed them but will not retain copies. If you reserve one of our properties, we will use your personal information (other than your identification documents) on the basis that it is necessary for the performance of our contract with you or for taking preliminary steps for that contract. Where we collect details of your current and/or proposed mortgage provider we will do so on the basis that it is in our legitimate interests. Please contact our Director of Business Improvementat dataprotection@strata.co.uk if you would like further detail about our legitimate interests. When we collect and use identification documents for our anti-money laundering requirements, we will use your personal information on the basis that it is our legal obligation to comply with the Money Laundering Regulations 2017. If you decide to part exchange your property we will collect: your part exchange address(s), copies of any survey reports, homebuyers report, memorandum of sale and reservation details which may contain your personal information. We will use this information to administer the part exchange. If you decide to part exchange your property we will use your personal information on the basis that it is necessary for the performance of our contract with you or for taking preliminary steps for that contract. If you would like to have your property purchase experience personalised we will collect: a photo of you to enable our team to provide a personalised service to you. We will always ask you to sign a consent form allowing us to do so. You can, of course, withdraw your consent at any time by contacting our Director of Business Improvement at dataprotection@strata.co.uk. When you purchase a property in addition to the above information we will also collect: any additional personal information provided by you during the purchase transaction. This might include the address of any property you move into whilst your new home is being built. We will use this in order to progress the sale of the property. When you complete the purchase of your property we will collect your personal information on the basis that that it is necessary for the performance of our contract with you. We will also collect information provided by you on acceptance of the property following the transfer to you and information provided on customer satisfaction forms: this might include your new address and confirmation that you accept the property in its condition and/or details of any issues which need attention. We will use your personal information in order to deal with any snagging issues in relation to the property and for customer satisfaction purposes. This is on the basis that it is necessary for the performance of our contract with you. If you contact our customer care or sales team we will collect: your full name, e-mail address, contact telephone number, postcode and details of your enquiry or issue. We will use your personal information to access your account (if you have one) and to respond to you and to investigate, consider and deal with any enquiry or issue you have raised. In order to ensure that you receive our best customer service, we will retain previous conversations which we have had with you. When you contact our customer care or sales team we will use your personal information on the on the basis that it is necessary for the performance of our contract with you. 5. What other personal information do we collect and use and what is our legal basis for using it? We may use your personal information for the purposes of bringing or defending any legal proceedings or meeting any legal or compliance obligations we have. Where we use your personal information for the purpose of bringing or defending legal proceedings, our legal basis will be that it is necessary for the performance of our contract with you (where it relates to a contract we have in place) or it is in our legitimate interests. Please contact our Director of Business Improvement at dataprotection@strata.co.uk if you would like further detail about our legitimate interests. 6. What personal information do we collect and use from third parties and what is our legal basis for using it? We offer prospective buyers the opportunity to have an affordability assessment done which is carried out by an external mortgage advisor. This assessment is optional, and once completed the results will be shared with us to help us understand which properties to show you. Where you have chosen to instruct your own financial advisor, we will ask for your consent to contact them to discuss the progress of your sale. Where we use your personal information for the purposes of helping you understand what property best matches your affordability requirements we do so on the basis that you have given us your consent. You can, of course, withdraw your consent at any time by contacting our Director of Business Improvement at dataprotection@strata.co.uk. 7. What happens if you don’t provide the personal information we have asked for? Where we have stated that your personal information is used in order to carry out a contract with you, to take steps to enter into that contract or where we need it for complying with our legal obligations we will need you to provide the personal information requested. If you don’t provide the personal information we need when we ask for it, we may not be able to respond to you, enter into a contract with you or meet our obligations under it. For example if you don’t give us identification details we will be unable to sell a property to you. Similarly, we may not be able to answer a query you have raised if you don’t give us contact details. Furthermore, if you don’t provide us with your identification details we may not be able to complete anti-money laundering checks which would mean that we are unable to reserve your property as we will have been unable to comply with our legal obligations. If you have any concerns about whether you need to provide your personal information please contact our Director of Business Improvement at dataprotection@strata.co.uk. 8. Will we use your personal information for automated decision-making? We do not use your personal information to make automated decisions about you. 9. Can we change the purpose for which we use your personal information? We will only use your personal information for the purposes set out above unless another reason that is compatible with those original purposes. If we change the purpose for which we are using your personal information and you would like an explanation as to how the new purpose is compatible with the original purpose please contact our Director of Business Improvement at dataprotection@strata.co.uk. If we would like to use your personal information for an unrelated purpose, we will notify you and we will explain the legal basis which allows us to do this. 10. How long will we keep your personal information? We will not keep your personal information for longer than we need it for the purposes we have explained in this privacy notice. We have outlined our retention periods below. We will keep your personal information (other than that relating to marketing or warranties) in our active systems for six years. We will keep information relating to warranties for a period of 10 years in order to comply with NHBC property warranty standards. We will keep information relating to our own warranties for a period of 2 years. Where you have consented for us to contact you for marketing purposes we will store your personal information for a period of two years before asking you to re-consent to our contacting you for marketing purposes. We will retain CCTV images from our Head Office for a period of 38 days. CCTV images taken from our sites will be retained for a period of 35 days. Please contact our Director of Business Improvement at dataprotection@strata.co.uk if you would like any further information about our retention periods. If a dispute arises between us, we will keep your personal information for the purposes of responding to and dealing with this dispute and this may mean that we keep your personal information for longer. 11. Who will we share your personal information with ? We may share your personal information with trusted third parties from time to time. We will not, however, share your personal information with a third party for them to market to you unless we have your consent to do this. We do not sell any personal information to any third party so that they can send you their marketing material. Professional Advisors: We may also share your personal information with our professional advisors (including lawyers, insurers and/or insurance brokers) to take advice e.g. in connection with any complaint or claim which you make and to complete your purchase. Water/ Utility Companies: When you purchase a property from us we will provide your full name and full address (including post code) to water and utility companies before you take possession to enable them to ensure that you have a supply of water, gas and electricity. Meadfleet: When we complete a development we transfer legal ownership of any open spaces to Meadfleet. Meadfleet will then maintain these open spaces and invoice you for your proportion of the costs for doing so. Meadfleet will then become the data controller of your personal information in relation to this, if you would like further information about how Meadfleet use your personal information please look at their privacy notice, which at the time of publication can be found at https://www.meadfleet.co.uk/privacy-policy/. Card Payment Processor: We may share your personal information with the company which processes our card payments to ensure that your payments are completed securely. Estate Agents: We may share your personal information with reputable estate agents in order to provide you with an estimate of your current property’s market value where you are part exchanging your property or considering this. Mortgage Advice Companies: We may share your personal information to introduce you to reputable companies providing specialised mortgage advice if you want an affordability assessment done. Contractors: In some instances we will engage reputable contractors to undertake work on your property. They may access your personal information to the extent that they need to in order to provide their services. IT Suppliers: We use reputable third parties to provide us with our IT systems (including our CRM system and website) and support for them. They may access your personal information to the extent that they need to in order to provide their services and deal with any issues. Merger: In the unlikely event that we sell all or part of our business, or merge with another organisation, we may transfer personal information that we have collected as described in this privacy notice, along with our other business assets, to the organisation that we are selling to or merging with. Marketing and Media Companies: We use reputable third parties such as Salesforce to send out our marketing material. They may access your personal information to the extent that they need to in order to provide their services. Legal and Regulatory Requirements: We will share your personal information with entities, companies or individuals where this is necessary to comply with any law, rule, regulation, legal procedure. We will only disclose such personal information to any third party as is necessary to enable them to carry out the function or purpose for which it is disclosed. For example, we will only disclose such personal information to our contractors to enable them to deal with any issues which arise following completion of your property. If you would like further information on our legal basis for sharing your personal information with third parties please contact our Director of Business Improvement at dataprotection@strata.co.uk. 12. Will we transfer your personal information outside the UK/EEA? European Economic Area (“EEA”) countries are all EU Member countries together with Iceland, Liechtenstein and Norway. At the present time we store your personal information in the United Kingdom or in countries within the EEA. We will only transfer your personal information outside the EEA where our third party service providers who we share personal information with (as set out above) are based outside the EEA, have support services located outside the EEA or host personal information outside the EEA. We only transfer your personal information outside the EEA where we have a legal basis for doing so and where we require that your personal information is protected to the same standard as it would be protected in the EEA. We do this by entering into data sharing agreements with the recipients of your personal information based outside the EEA which comply with the EU Commission’s standard clauses for the transfer of personal information. If you would like further details about our transfer of your personal information outside the EEA or details of the safeguards put in place in relation to your personal information please contact the Director of Business Improvement at dataprotection@strata.co.uk. 13. How do we keep your personal information secure? We have put in place appropriate security measures to prevent your personal information from being accidentally lost, used or accessed in an unauthorised way, altered or disclosed. In addition, we limit access to your personal information to those employees, agents, contractors and other third parties (see above) who have a business need-to-know. We have put procedures in place to deal with any suspected data security breach and will notify you and any applicable regulator of a suspected breach where we are legally required to do so. Our security procedures mean that we may occasionally request proof of identity before we are able to disclose personal information to you. 14. What rights do you have over your personal information? You have the right to make a complaint at any time to the Information Commissioner’s Office (ICO), (the UK regulator for data protection issues. See www.ico.org.uk). We would, however, appreciate the chance to deal with your concerns before you approach the ICO and so, if you are happy to do so, please contact our Director of Business Improvement at dataprotection@strata.co.uk. where our use of your personal information is based on your consent, the right to withdraw your consent at any time by contacting Director of Business Improvement at dataprotection@strata.co.uk. 15. Does this privacy notice cover websites you link to from this website? Links within our website to other websites, such as Facebook and Twitter, are not covered by this privacy notice. You should review the privacy information on those other websites to find out how they may use your personal information. 16. How will you tell me about changes to this privacy notice? We keep our privacy notice under regular review. Any changes we make to our privacy notice in the future will be posted on this page and if the changes will have an effect on you or the way we use your personal information we will bring them to your attention by email where appropriate. Please check back frequently to see any updates or changes to our privacy notice. This privacy notice was last updated February 2019. 17. How can you contact us? If you have any questions about this privacy notice or about the ways we use your personal information, please contact our Director of Business Improvement at dataprotection@strata.co.uk or Strata Homes Limited Quay Point, Lakeside, Doncaster, DN4 5PL.